alabama-baby-tee-black-6m Nyc Factory Alabama Baby Tee Home Shirt Official Nyc Factory Product. Us States Collection. 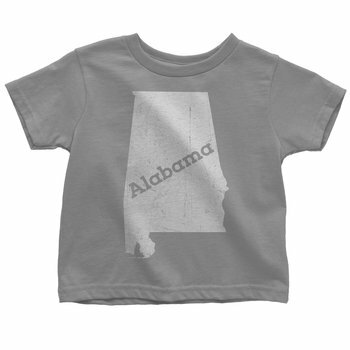 New With Tags Tags: Alabama pride baby tee. If The Yellowhammer State is your home or has a special place in your heart this soft cotton t-shirt is for you. From the NYC Factory US states collection. Makes a great novelty infant gift. New with tags. OVERVIEW At nycfactory.com we make returns as easy as possible. Our mission is to provide you with the best products and the best service in the industry. We understand that sometimes, customers change their minds about products that they order or simply do not need them anymore. We also know that customers are cautious about Return Policies since they are often tricky and misleading. Our goal is to make the return or exchange process trustworthy and as simple as 1-2-3. RETURN POLICY If for any reason you are not completely satisfied with your purchase, you may return the item within 14 days of delivery of your order. For orders placed during the holiday season from November 15th to December 31st, the return period is extended to 60 days. The following rules apply: Products must be in original packaging and in a new and resalable condition. Any product that was used or fully/partially installed is non-returnable. Shipping Fees are non-refundable. All returns must be made via our Return Procedure by filling out an RMA form in the MY ACCOUNT section. There are few non-returnable products & services that may be offered on our website. It will indicate clearly in the product description if a different return policy applies. Order cancellations can only be requested prior to shipment or in some cases. If the return of an item was caused by an error on our or a manufacturer's part, we will cover the shipping fees.